In general, we need to automate scenarios like uploading a file into the application for attaching profile pictures or documents. 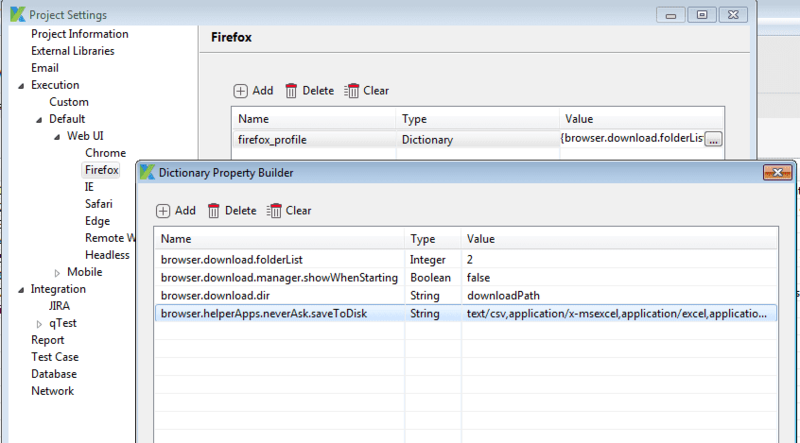 This tutorial demonstrates handling the file upload feature and verifying downloaded files. The file upload widget is the input tag having attribute type equal to file. It allows us to upload all file formats (.jpg, .png, .txt…) Let’s work on the case in which we need to upload a file and validate whether the file is uploaded. We can also use the script mode. Below script is the code to upload a file and validate the uploaded file. We can also upload files by using the Send Keys method. Send Keys works for the input tag having type equal to file. Use the Send Keys method to upload a file. Send Keys accepts file URL as string. After downloading a file from the application we need to verify whether the file is successfully downloaded and saved in a folder. For that, we need to set preferences for Firefox, as shown in the Image below. We have just learned how to handle file uploads and verify downloaded files using Katalon Studio. You can download the source code here. For further instructions and help, please refer to Upload File guideline.